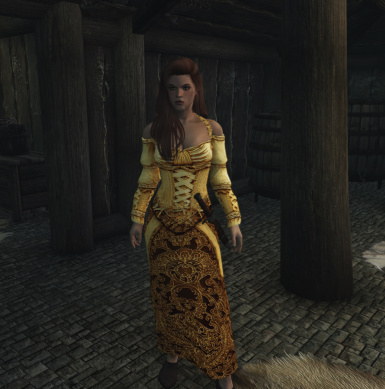 This completely overhauled and updated version of Opulent Outfits merges the features of the original 3.6/4.0 REPLACER, 2.5 Common Robes Pack, Maids and Merchants and standalone. 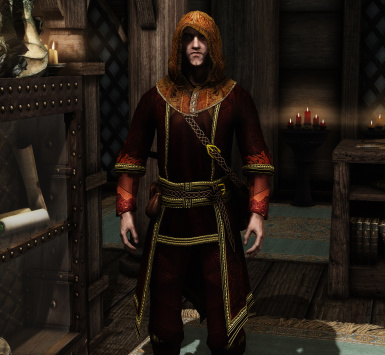 Many NPC's in Skyrim, merchants, bards, maids, innkeepers, priests, mages, court wizards, now feature colorful, vivid new robes and outfits. 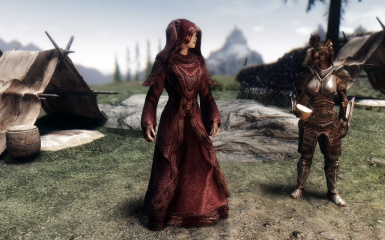 Be aware of the (many) potential conflicts that may arise between appearance overhaul mods and Opulent Outfits SSE. Complaining about them will be of limited value.The game engine, or mods, cannot dynamically resolve issues like this automatically. Adjust your load order and watch your overwrite prompts to get the results YOU desire. For example, Opulent Outfits, Bijin and Improved Bards all edit Lisette in the Winking Skeever. This is just one example of a possible set of conflicts that may arise depending on your load and install order. 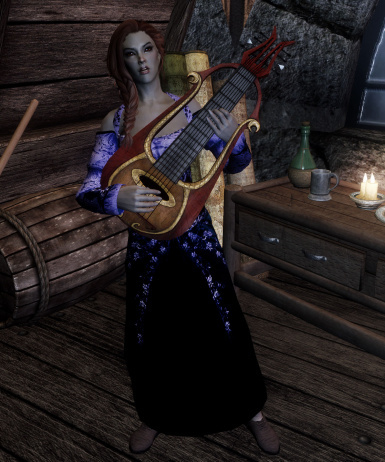 I highly recommend using the Improved Bards mod alongside Opulent Outfits. 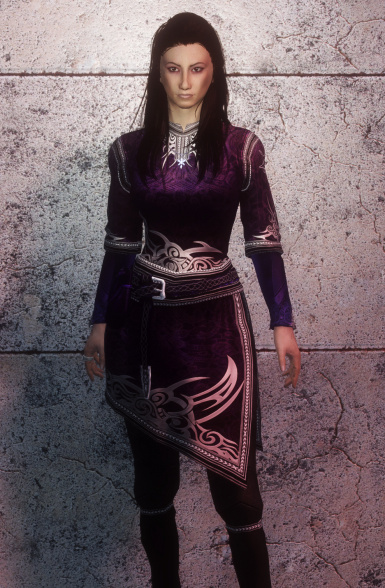 Some may find the outfits a little bright and vivid compared to what they are used to seeing, especially when contrasted against the generally earthen tone and atmosphere of the bulk of Skyrims regular attire. This of course, is by design. 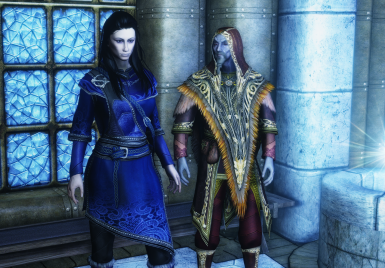 The original creator definitely created the outfits to add splashes of color to the comparatively drab Skyrim environment. In pre-industrial societies, dyes were nowhere near as common as the mass-produced chemical ones we know. Such societies valued bright and colorful clothing highly, viewing such items as status symbols in their own right. So, If bright and vivid outfits rub you the wrong way, then the AIO version is NOT the file for you. Use REPLACER instead. Bug Reports is restricted to author input now, since people cannot distinguish actual bugs from conflicts and errors in their own load orders and installs. And this is after I penned a nice article explaining what the two terms mean. In any event, there is very little content-wise in Opulents at this point that could be considered a bona-fide bug and all known issues are listed (which also mostly get ignored). So.......No more user-conflicts going to that area. Or anything else unless submitted by author. Replacer and the normal map update is now available in BC7 format. The nm file alone saves a great deal of HD space. If i get no reports of any detectable loss of quality, the BC7 compression will be the standard format going forward for all iterations of Opulents. Replacer v 5.9 is a sorta test to see if anyone notices any quality loss. Versions have been set to .9 for the NM update file. No content changes, so, no need to re-install because of that. My own critical, but untrained eye has not been able to detect any difference quality wise. One bonus out of this, is the textures compression are now uniform and consistent across the board. 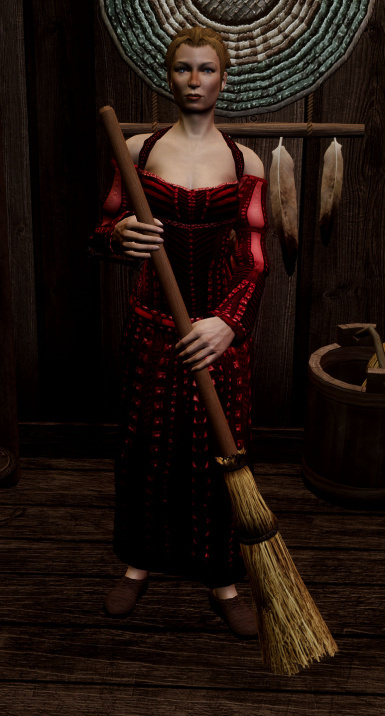 The current textures, seemed to have been saved with a number of different compression schemes, rather than one single format. The idea is, that the included files will apply AI Overhauls new packages to *every* dependency Opulent s loads so that no NPC gets left behind as it were, even if those not part of Opulents. Got that part? Based my new game with these files installed, it does not appear to be compatible. 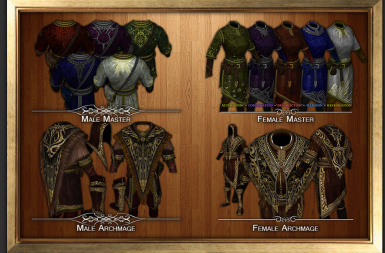 It is effecting Opulents outfit assignments, even if the relevant classes check boxes are disabled in its MCM. NPC outfits will be changed permanently, even IF Opulent is loaded below ACE. I do not recommend installing this into an existing save, or new game even. Use Opulents, or use ACE, not both. 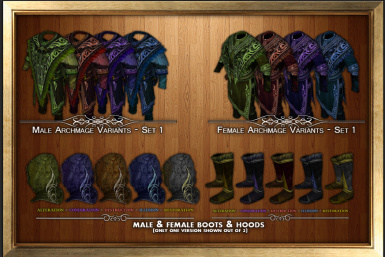 TLDR: WACCF-ACE, is NOT compatible with Opulent Outfits. WACCF alone, does cause any issues. WCAAF should be always be loaded near very top of your load orders. Re: General Trolling and Flaming. OR, your other option, is to post pointless inflammatory messages insulting me, this file, and the mods I choose to support it with. If that is your choice, then your options will will be considerably simplified. It will consist of no access at all. Zero, zip. nothing. 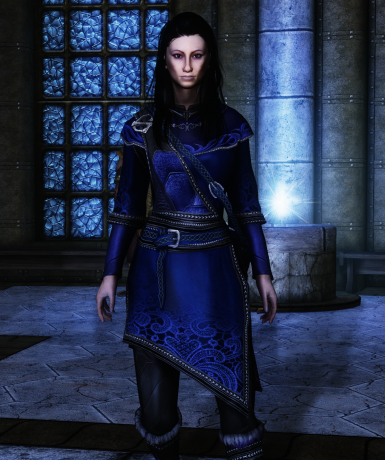 I was really happy to find this mod - I want a few better loocking mage robes - even if only I and my follower can wear them. I was about to download it then I saw this: uncompatible with -Armor and Clothing Extension - Not compatible. It will break Opulent Outfits. 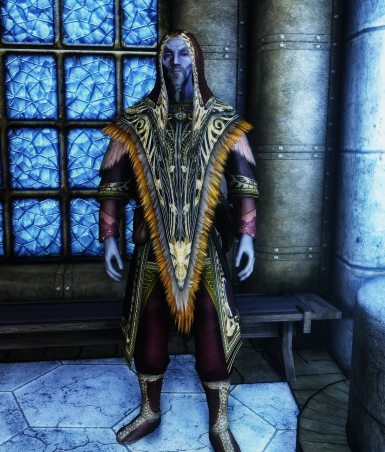 Is there any way to run those mods together? 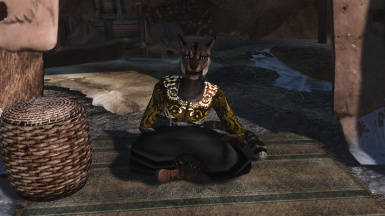 even if I dont get the changed NPC-outfits. 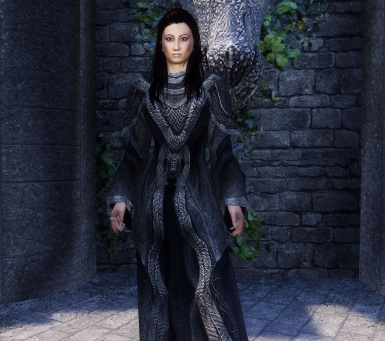 Or is there a standalone where you can just buy the outfits for your own use? 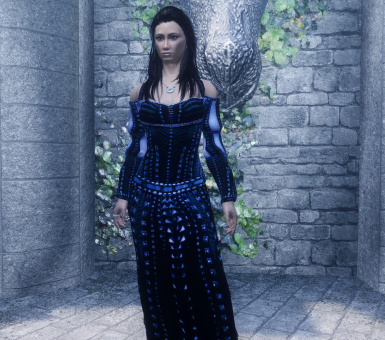 There seems to be a bit of Nakidity on Delvas Neloran... * chuckles * very naked.. Sergius Turrianus has no shoes... * chuckles * again Nirya-chan arrived before me with only her boots on.. Umm not like i'm complaining of course * winks * What's happened and how do I fix it? My load order is rather large, but I have nothing that modifies these particular outfits... 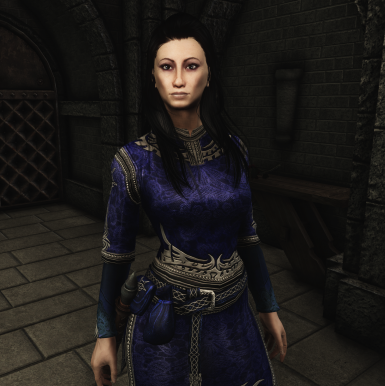 I used the main OO 2018 SSE AIO, Cutting room floor patch, and the texture update.. allowing all overwrites sequentially, respectively. 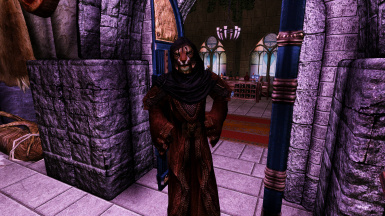 Addendum::: I figured it out... Disabling and reenabling the character fixed the problem..
Actually, I'm another one whos going to ask if the old peoples mod really necessary. 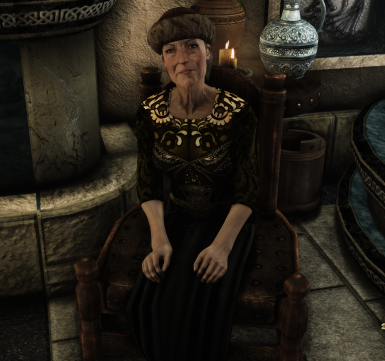 All my old folk are walking around with black face..
Its necesary the old people mod? I already have CBBE and that would be conflict. Holy %*&k, are you serious? Or just seriously trolling my comments section?. To put this 'conflict' of yours into some kind of perspective for you, CoP modifies an entire TWELVE (female) Npcs, out of, according to USEP, 1087 total npcs. 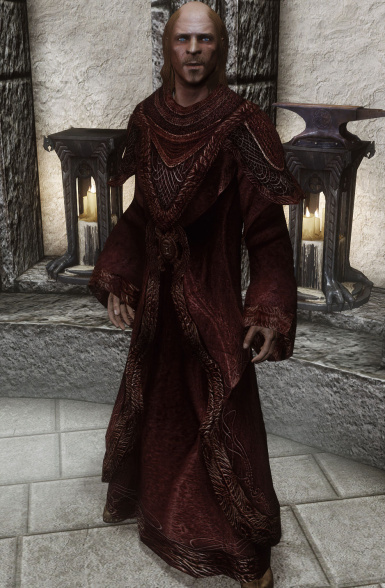 Put another way, .0011% of ALL npcs, are impacted here. Besides, there is no genuine conflict between CoP and CBBE in any event, so this is utter nonsense. The only 'conflict' is, you want to convert all the senior citizens into 19 year old supermodels and COP wont let you. Im sure it is as bad itssounds. 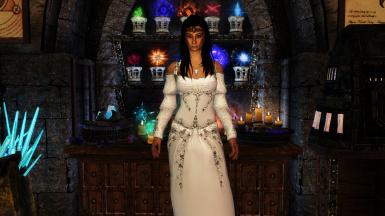 I really adore and appreciate this mod on old skyrim, and my question is could I use this on original/old skyrim or is this special edition only? 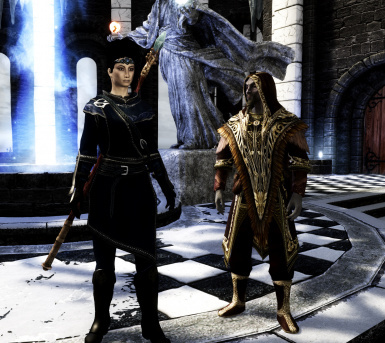 The mod author has hidden the oldrim version for absolutely no reason and consistently refuses to answer anyone asking why. 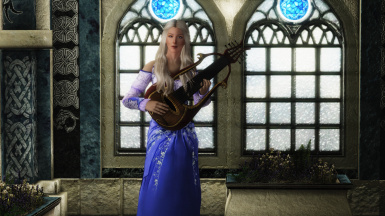 It's unfortunate, since this is a great mod and you'd think the author would want to have more people downloading it. You're a saint tbh. 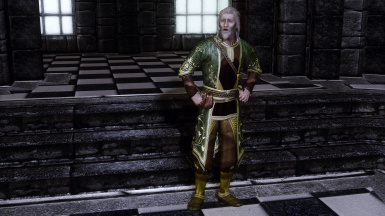 I used this mod back when I modded Oldrim, and was so disappointed at the old version's seemingly haphazard application of outfits to random NPCs - relegating it to follower-use-only. Major kudos for updating this file with something that makes a lot more sense. Chill spamming the comments section with this, lol. I'm not sure which mod you're referring to being hidden, I still see the original mod there. In any case, I somehow doubt harassment and/or spamming will change the author's mind. Yes. Babs original notion of the Opulents(m&m) as replacers was not well implemented. 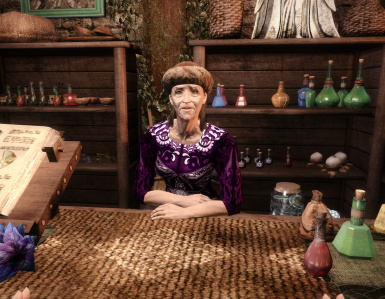 It created all kinds of out-of-place and really, odd-looking outfits on various npcs, especially anyone assigned Noble clothing. 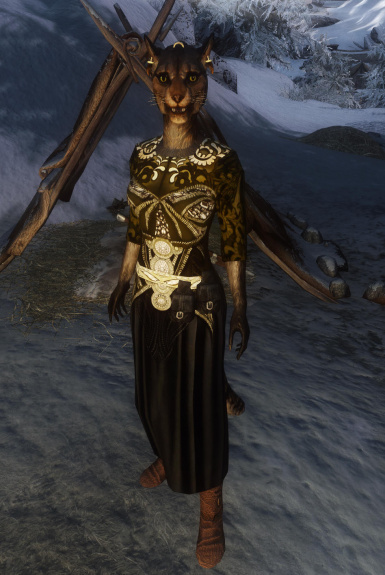 But, just the idea everyone in Skyrim would wear these particular sets of outfits was jarring, even if the outfits themselves were quite nice. 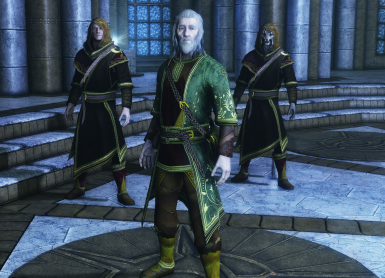 It was one of the earlier changes I made, and one of the more satisfying, as hand-placing outfits on NPCs, meant you could create a much more realistic distribution across all classes, occupations and status. 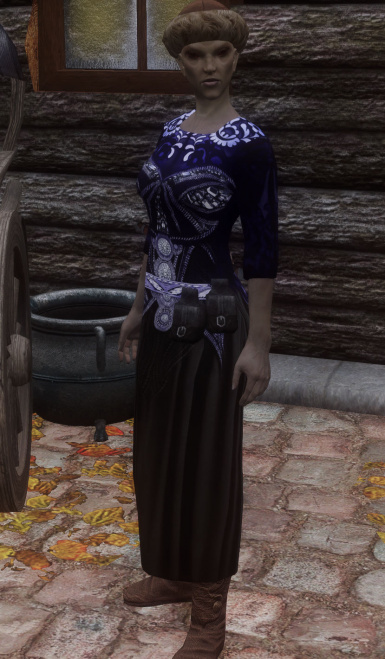 IoW, I could assign outfits in a manner that made sense, while leaving everyone else in their standard garb, which not only looked appropriate, but you could still take advantage of Rustic Clothing w/o causing any real conflicts. Yup! 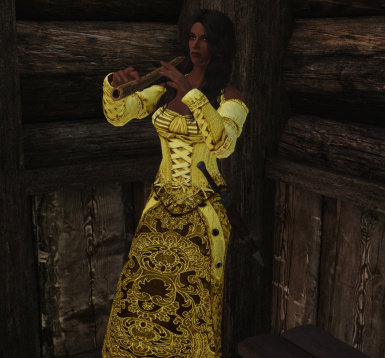 I remember downloading it at the first and walking into the Bee and Barb only to see the Argonian Riften (RIFTEN) innkeep with a bright pink (Or was it red) dress on. It was so out of place, haha. 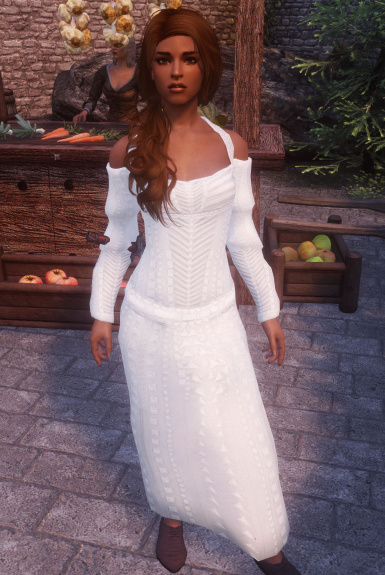 I will desaturate the maid/merchant dresses just a little for my tastes I think, but that's much better than seeing nice clothing articles like these go to waste. For physics to work, the mod in question has to be built for HDT physics. 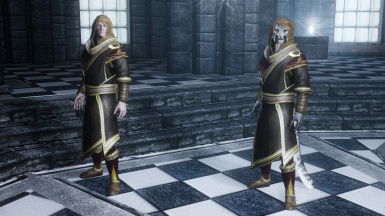 Since this mod isn't, you won't see any physics applied to your character while these robes are worn. 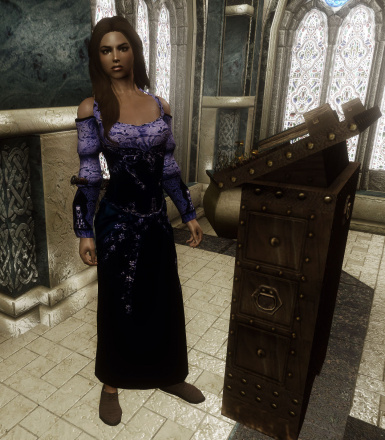 Additionally, unless the clothing mod was built for CBBE, (this one wasn't) the body won't accurately conform to the CBBE body shapes. Does this work with oldrim? You hid the oldrim version. I second this; I can't imagine there's any logical reason for hiding the mod from people who'd support it.